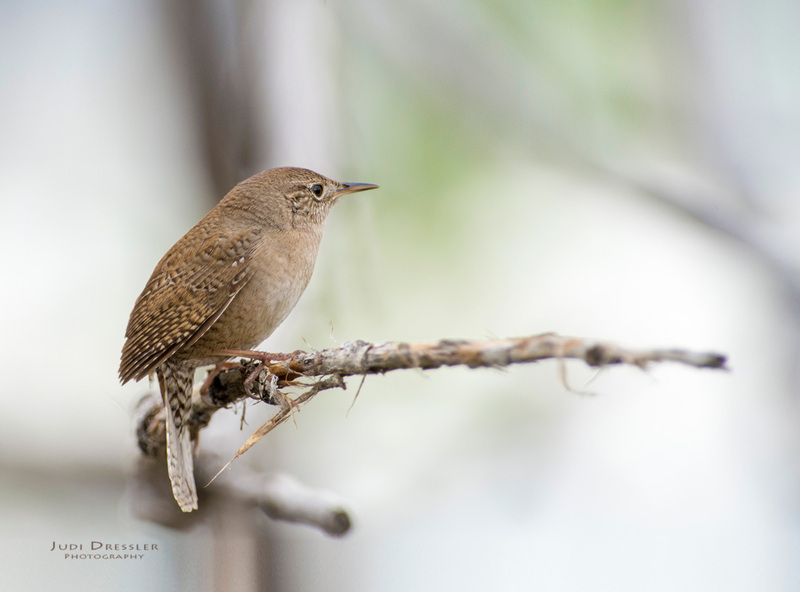 I took a bunch of pics of this little House Wren, which was flitting all over a trees close to where I was standing. She sang beautifully, but in this shot, she seems to be contemplating. I like this image best because of the way the background disappears, due to a very narrow depth of field (produced by a close shot and a big lens).